September 15, 2016, Kamloops, BC: The Kamloops accommodation industry has confidently supported a lift in Municipal Regional District Tax (MRDT) from 2% to 3% commencing July 1, 2017. With 70% of the accommodation owners representing 83% of the room inventory voting in support of the tax increase, the message is clear that increased funding to support tourism marketing is a priority. 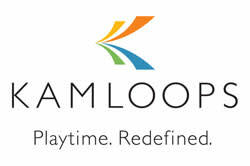 Every five years, Tourism Kamloops in partnership with the Kamloops accommodation industry and the City of Kamloops, seek to renew the levy as a significant funding source for destination marketing led by Tourism Kamloops. “Additional marketing funds to Tourism Kamloops will support the industry’s desire to shift from traditional summer tourism marketing, to an emphasis on “needs period” promotion encouraging visitation to Kamloops outside of July and August. Destination and experience development initiatives will be at the forefront to building tourism experiences in the winter, spring and fall seasons,” adds Joey Beltrano, Kamloops Accommodation Association Chair. As part of the MRDT renewal process, Tourism Kamloops along with industry partners, have undertaken a renewed strategic plan process for the next five years 2017-2022. An overview of the plan will be presented to Kamloops City Council on September 20th with the request that a bylaw be passed for the provincial government to levy the tax on their behalf. The complete application for MRDT renewal will be submitted at the end of October to ensure a seamless transition on July 1, 2017.